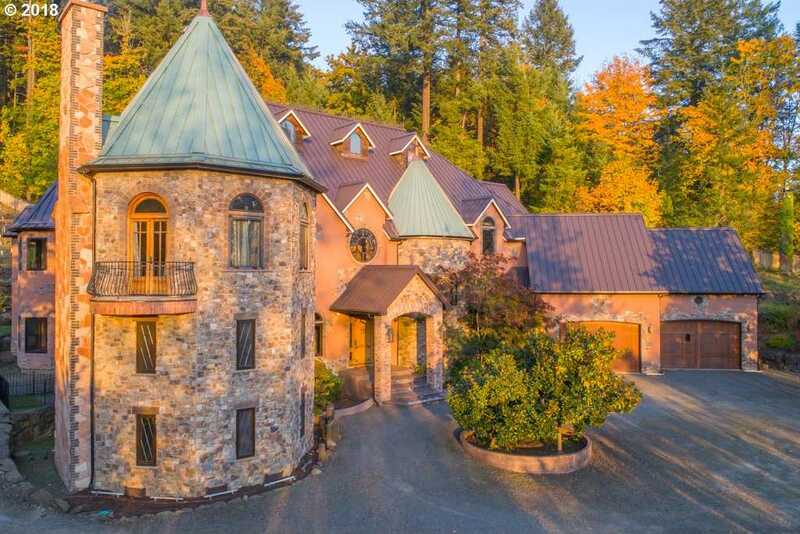 One-of-a-kind Portland icon, Blackberry Castle, on 6 acres with vineyard & underground wine cellar. Five bedrooms, 13,000 sq. ft. built in 2008 with incredible 2 story turret library, European village-style atrium bar & entertainment space, and home theater. Fully-equipped home gym with climbing wall, home spa with sauna and luxurious master suite. Entertainer’s kitchen with deluxe appliances and huge central island in open great room. Please, send me more information on this property: MLS# 18472832 – $4,000,000 – 14125 Nw Germantown Rd, Portland, OR 97231. I would like to schedule a private showing for this property: MLS# 18472832 – $4,000,000 – 14125 Nw Germantown Rd, Portland, OR 97231.